On any Particular Website, there might be “N” Number of Products or services listed. Visitors landing on the site will be looking for a specific service or a product. For example, in an e-commerce store, there could be a visitor who landed on the site to look for an Apple Smartphone. Another visitor would have landed on the site to search for an HP Laptop. While another visitor on your site would have spent 25 minutes on your site by searching, comparing & researching about electronic products. It would really make sense to customize & Segment all of the visitors based on their actions & behaviors on the website. Also, one can even use audience demographics data to Segment Audience. After customizing and Segmenting the Audience it is important to start creating custom Ad copies. Taping this to our e-commerce store example, one can create a custom ad in a Remarketing campaign for a visitor who searched for an Apple Smartphone one the website. Similarly one can create Custom ad copies for the other examples of visitor searching for an HP Laptop. Also, it is good to show your remarketing ads for visitors who have a longer number of session durations on the website. 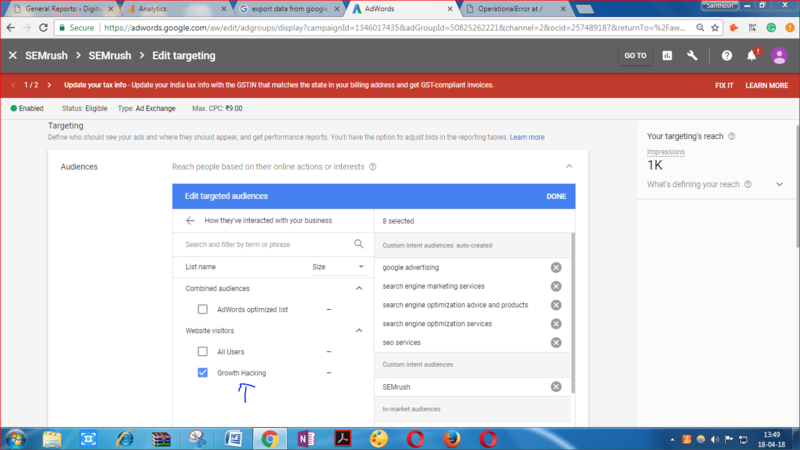 It is not recommended to show remarketing ads to visitors who had a very short session duration or bounced off quickly. Now after reading this you might be wondering How to get the Customized data and Behaviour data of the Audience. The answer is to make use of Google analytics. 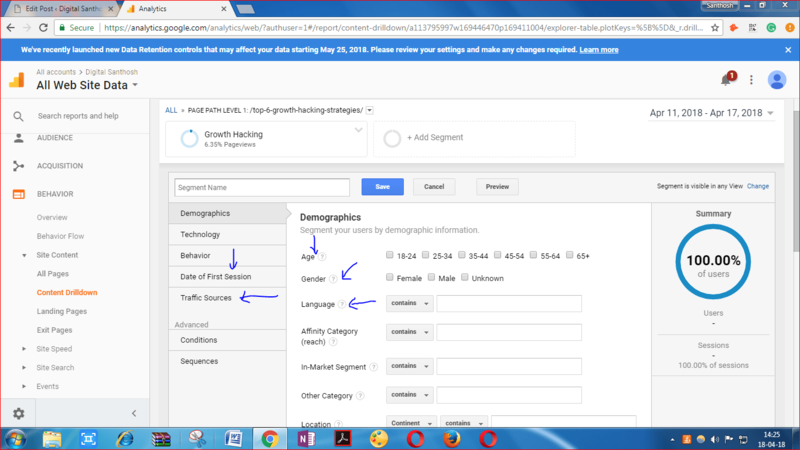 Using Google analytics you can segment visitors based on their demographics, Session time, behaviors and interaction on the site etc. Ensure that the Adwords account is being linked to the Google Analytics account. Also, ensure that you have installed the Google Analytics with Google Tag Manager. In this example, we are segmenting audience who read the “Top 6 Growth Hacking Strategies” article on the website. As you can see over 6.35% of visitors have read the “Top 6 Growth Hacking Strategies” article. You can apply this to your own business case and segment and audience who visited a particular page/Product page/Service Page or any other pages. 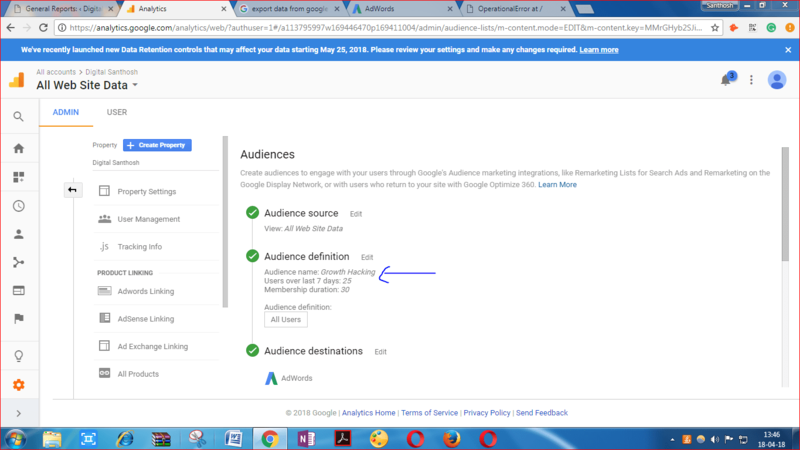 Next, click on the Build-Audience Option and Import this Audience data into the Google Adwords Account as shown in the below-given Screenshot. Then, log in to your AdWords account and choose the campaign & ad group to which the Remarketing List has to be added. This has been illustrated in the below-given screenshot. Also, It is good to segment your Audience based on their demographics, Session duration, Source of traffic and many other things. Refer to the below-given screenshot to get a better understanding of this. 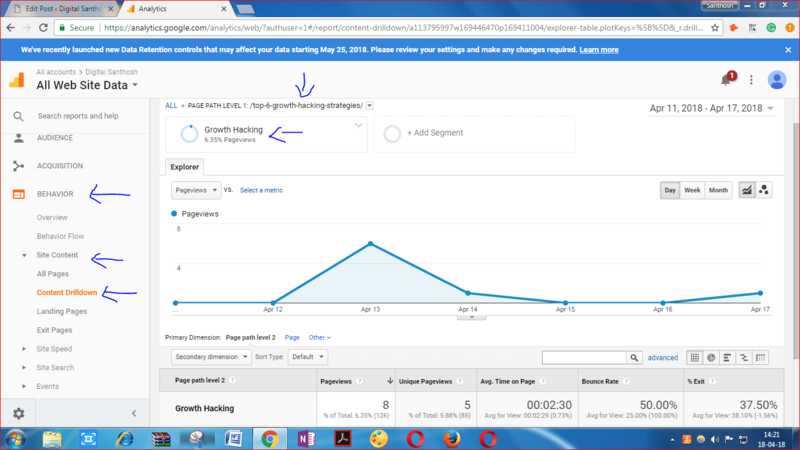 As said earlier In this example, we are targeting a group of visitors who have read a Growth Hacking article on the website. Let us assume that we have a Growth Hacking guide on the website. And Our goal is to get more Growth Hacking Guide sales using Adwords. For this campaign Creating Customized ads related to Growth, Hacking Guide would be better rather than creating a Generic Ad related to Digital Marketing. If we use remarketing strategies for this campaign by targeting all the visitors who read the Growth Hacking article on the website then definitely the campaign would result in High Conversions, High ROI & Huge amount of Sales of the Inbound Marketing Guide. Video Content is the most preferred type of Contents by People. Video ads are used for Remarketing. Advertisers can target visitors who visited their site. Also using video remarketing ads Marketers can target people who visit other competitors channels. Video ads would allow advertisers to present their content in a Humorous, Informative and engaging manner. It can be costly for a small business owner to shoot a High-Quality Video. However, Advertisers can make use of the Youtube Director Onsite Platform to Create Quality Video ads at less cost. It is a platform in which Youtube’s filmmakers would Visit a business and shoot a High-Quality Video ad for the business. Google has a feature known as global Site tag. Global Site tag is used to build an Adwords Remarketing Lists for your ad campaigns. Advertisers would have to install a Piece of code to their web pages in order to keep track of their visitors through a Cookie. Later on, Marketers can use this data in their Remarketing Lists to show their ads to people who visited their site. 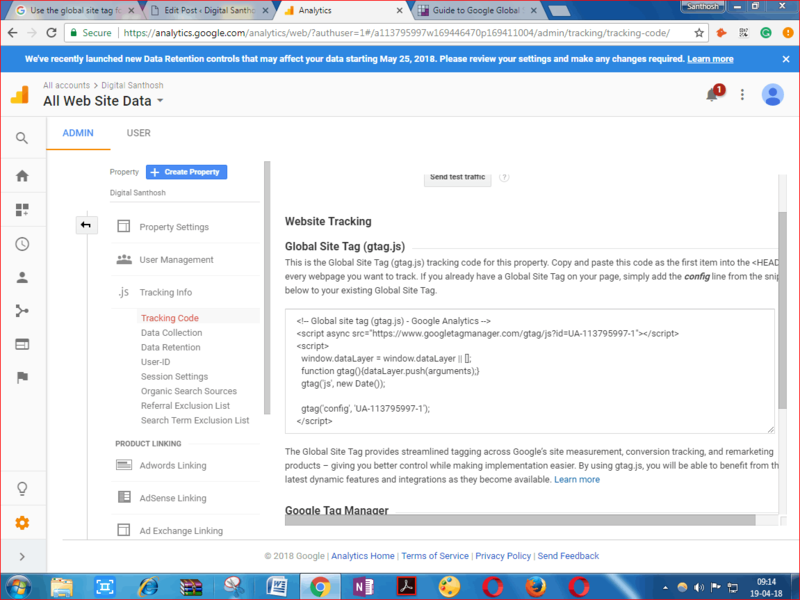 Global site tag sends website event data to AdWords, Google Analytics etc. An event can be like a visit, click, Signup, conversion etc. But one big advantage of Global site tag is that it can be integrated with many other Google Marketing Products. Also, it can be integrated with Google Analytics. All the brand new google analytics account would have to use the Global site Tag. If you have an old google analytics account then never try to confuse both Analytics tag and Global site tag. For now, for your convenience, you can use the old analytics tag. But global site tag provides a lot of powerful events tracking method. so if you are not going to use the gtag.js then you would be missing out many tracking events. Also, The Google Tag Manager allows Marketers to manage all types of Tags. 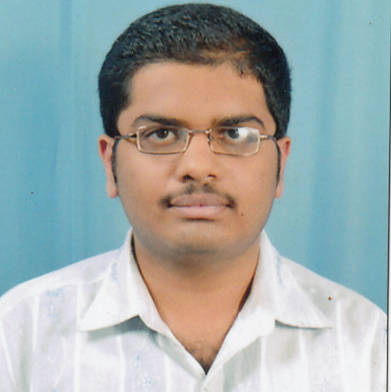 I will be writing more about Google Tag Manager in my upcoming articles. It is important for Marketers to set a proper frequency for remarketing ads. Proper in the sense it is important to analyze & test after how many impressions of the ad the chances of your Audience clicking the ad was higher?. So, your ads are not getting ignored by your audience. Also, Marketers need to set an upper limit frequency limit to the remarketing ads in order to ensure that Remarketing does not lead to overexposure of ads. Remarketing can be a very successful strategy for your AdWords campaign. One research says that 90% of the conversions happen on using Remarketing List. So it is very much essential for anyone who is managing an Adwords campaign. Hope you enjoyed reading this article. Please leave your comments and suggestions in the field below. If you like this article Please do share it on Social Media with your friends.